Health care generates vast amounts of data that have the potential to drive medical research and improve health, but unlocking the power of those data for the greater good is often slow and challenging. To address this, Regenstrief Institute of Indianapolis and MDClone of Israel have formed a partnership that aims to speed access to data for medical research, while ensuring patient privacy. MDClone dramatically shortens the time to access and ensures the privacy of data, reducing both IT and regulatory burdens through its big data platform and by creating robust, valuable, synthetic data sets based on original data of interest. The synthetic data tells the same statistical story as original data so it can be analyzed as if it were original, but it does not contain any real patient data. MDClone’s approach will be applied to a trove of data that Regenstrief manages for some of its health system partners, to show how it can enable more rapid and secure data sharing with research partners throughout the region, country and world. As it proceeds, the Regenstrief and MDClone partnership will work on data-driven initiatives with the Indiana University School of Medicine, Indiana University Health, Eskenazi Health and the Indiana Health Information Exchange (IHIE). MDClone and Regenstrief are working now to install the new data platform at Regenstrief, laying the groundwork for better connecting data with researchers across the Institute, Indiana University, and other research partners. Founded in 1969 in Indianapolis, Indiana, the Regenstrief Institute is a local, national and global leader dedicated to a world where better information empowers people to end disease and realize true health. The Regenstrief Institute and its researchers are responsible for a growing number of major health care innovations and studies. Examples range from the development of electronic health record innovations, global health solutions, and information technology standards that enable their use and interoperability — to improvements in patient-physician communications and the creation of models of care that inform practice and improve the lives of patients around the globe. MDClone introduces a groundbreaking environment for data-driven healthcare exploration, discovery and delivery. The MDClone Healthcare Data Sandbox unlocks data – leveraging the temporal nature of healthcare data, unprecedented privacy protection and modern big data technologies to enable never-before-possible operational insights, unlimited hypothesis testing and zero-risk data sharing – all to transform healthcare. The Sandbox is based on MDClone’s proprietary healthcare-oriented longitudinal data engine and Synthetic Data Engine, enabling any user to ask any question with zero-time to data & insights and zero-risk to patient privacy. 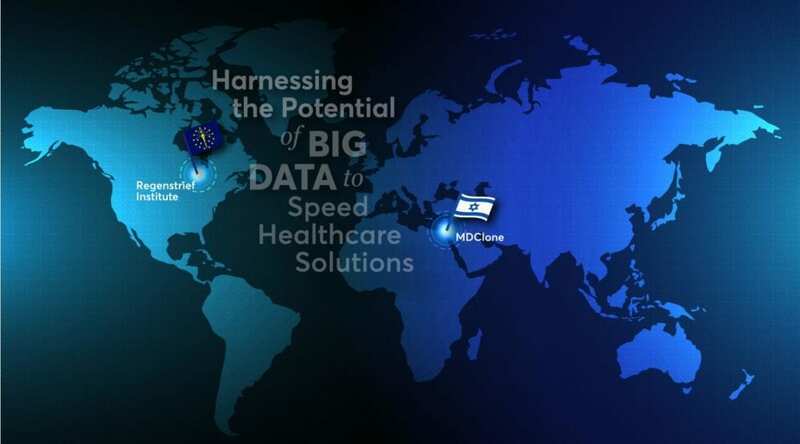 MDClone launched in 2016 and has already partnered with over 80% of the Israel healthcare market and leading U.S. healthcare organizations. The company is headquartered in Israel with offices in the U.S. and Europe, backed by investments from OrbiMed Israel Advisors and Lightspeed Venture Partners. The Indiana Health Information Exchange (IHIE) was founded in 2004 as a health information exchange that enables hospitals, physicians, laboratories, pharmacies, payers, and other health service providers to avoid redundancy and deliver faster, more efficient, higher quality health care to patients in Indiana.